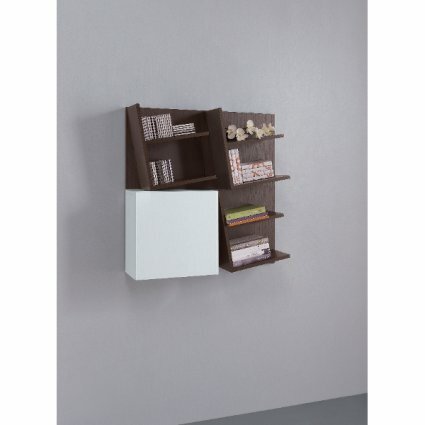 Acquamarina is a fantastic composition library for creating usable space for storing your items or your books. 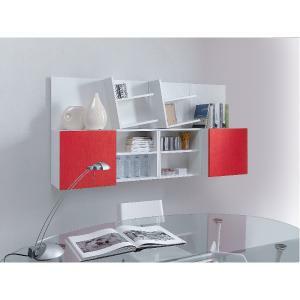 Perfect in the living room, study, office, in short, any wall that you can find space. A solution of great refinement, elegance, strength and modernity. Its linearity makes Acquamarina essential and modern, perfect to introduce in the decor of any home. The composition consists of four elements: 3 MENSOLA elements (TE01-152) + 1 CUBE element depth 24 (TE01-156). All four of these elements combine to create utility. All these really unique features create a final product of high quality and unique elegance. 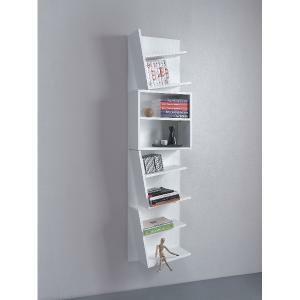 The colors of the elements SHELF and CUBE can be white or dark oak, while the front of the 'element CUBE can be red, green, yellow, blue, white and black oak.